If you're the regular reader of SolveMyHow then you might have already read the exclusive ways to get pr9 dofollow backlinks. But for now I'll keep this article to the point. So, lets quickly see how to create backlinks from Google drive. Well, Google Drive is cloud services provided by Google itself. So, you can access your files or important data from any device and from anywhere in the world. Google obviously have Alexa rank 1 and Google drive is PR8 site. So, getting dofollow backlinks from this site will definitely boostup your organic traffic + also improves your website ranking. Step 1 :- Log in to Google Drive. Hope you already have gmail account. So simply log in else create free Google account. 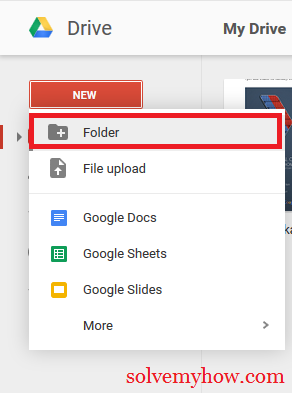 simply go to new and create new folder. Step 3 :- Name the new folder. Name it anything your wanted. 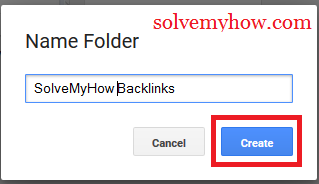 Here I gave "SolveMyHow Backlinks" ! Step 4 :- Open Notepad in your machine. You have to copy the below mentioned code into your notepad file and save it with ".html" extention. P.S replace "http://www.solvemyhow.com/" with your website URL. 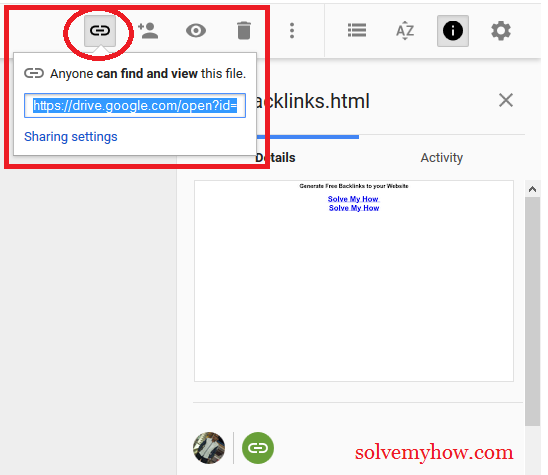 Step 5 :- Now Upload "backlinks.html" file in your drive folder. Just drag and drop the file into the desired folder. Step 6 :- Share this folder as a public. Click on change and select "on - public on web". 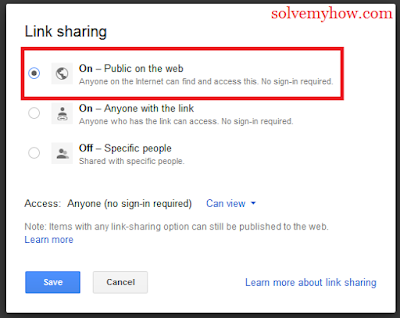 Step 7 :- Select the file and click on "get link". Copy the code from the link. Step 8 :- Paste the above code behind below mentioned link. Step 9 :- Now go to that link and click on your blog's URL. 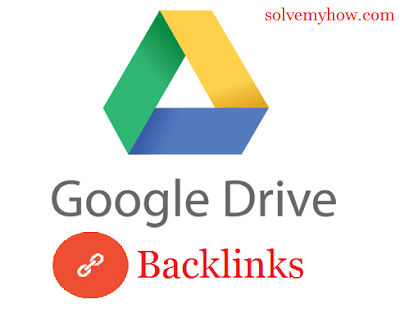 That's it you have just got the free dofollow backlinks from Google drive PR8 site. Hope you found this article helpful and worth reading. Please share this article with your social media friends too. You can also subscribe for free SolveMyHow newsletter, so you never miss any updates from us.